Falvey Memorial Library :: Foto Friday: One ‘Cat – Two Outlets! Foto Friday: One ‘Cat – Two Outlets! 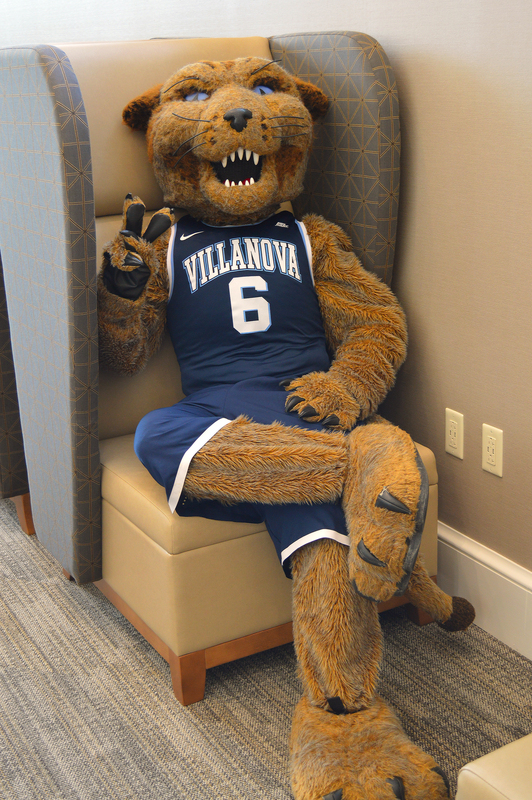 Good guy Will D. Cat was kind enough to drop by the Dugan Polk Family Reading Room Open House on Monday to help us demonstrate how there are more outlets than seats in the campus’ newest study space! Anyone who’s ever raced against a depleting battery icon to get something done on a device should appreciate the outpouring of outlets and ports installed here! And, just a reminder – you’ll need your Wildcard to swipe in the Reading Room starting Monday! Photo by Alice Bampton. And thanks to Will for being so darn pawe-some!